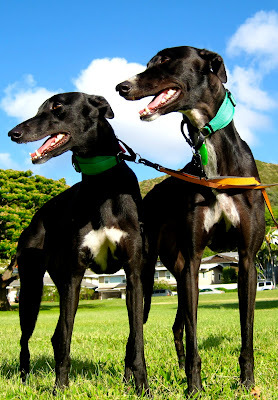 I'm happy to announce that greyhound advocates have just won two major victories! 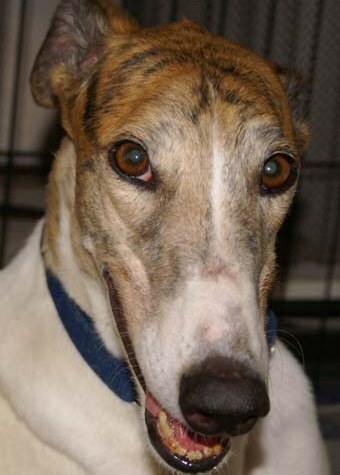 GREY2K USA just received the news that Arizona Governor Jan Brewer has signed a measure to reduce racing at Tucson Greyhound Park. Under the previous law, the track was forced to hold races year-round. However, moving forward the track will only be required to hold races on 100 days per year. Even better, the track can end greyhound racing completely if they enter into a contract with kennel owners. This is a huge step forward for Arizona's greyhounds. One humane problem after another has been documented at the Tucson track, and it would be wonderful for racing to decrease at this low-end facility. Of course, it will now be up to Tucson Greyhound Park management to decide whether or not they will take advantage of this new law. Either way, the humane community will continue fighting for the greyhounds. "Furious scenes here ... members of the crowd have gone up to shout at the councillors who voted in favour of the plans." This angry response is not surprising, when you consider the fact that these are the same dog track supporters who expect to be subsidized by the government. The Walthamstow vote is a major victory for the greyhounds, and is due in part to the hard work of advocacy groups like Greyhound Safe and Greytexploitations. As big as this victory is, however, there is one final round left in the Walthamstow greyhound debate. Dog track supporters have asked London Mayor Boris Johnson to intervene and overrule the housing vote, and media reports indicate that the Mayor is expected to make a decision within two weeks. It would be outrageous for the Mayor put the interests of dog track supporters ahead of affordable housing, and I'm hopeful he will make a humane choice. These two victories prove that the global fight for greyhounds is continuing to gain momentum. Greyhound racing goes against our mainstream values, and these victories should give us hope that dog racing will eventually end completely.